Bio: Charles A. Scalia, P.E. Bio: Gregory C. Anderson, P.E. If you are looking for the Year/Model Interchange List (Clones and Sisters) it is here. 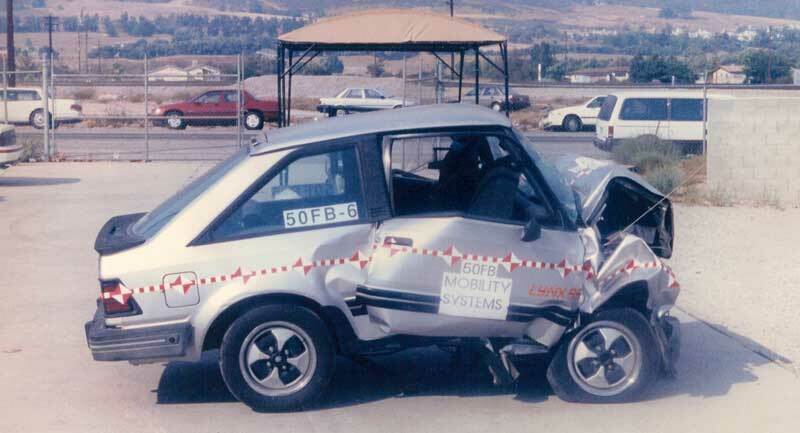 Result of 50 MPH Crash test conducted at the BH2VK Crash Testing Seminar in San Bernardino, California, August 1992. Photograph by Gregory C. Anderson, P.E.